The New York Times – Quotes Lisa Schwartz who says, as new data emerges that reveal mammograms may lead to overtreatment and false positives, “it’s important for women to realize there is a genuine decision to be made here.” Schwartz is a professor of medicine, of community and family medicine, and of TDI. Valley News – Article on Lisa Schwartz and Steven Woloshin, both professors of medicine and of community and family medicine, as well as co-directors of the Medicine and the Media program. They have founded a company they hope will soon provide patients with clear, concise, and unbiased information about prescription drugs. MedicalNewsToday – Mentions a study co-authored by Professor of Biostatistics A. James O’Malley. It found that telemedicine could help nursing homes reduce hospitalizations and save Medicare money. WBUR’s On Point – Lisa Schwartz – professor of medicine, of community and family medicine, and of TDI, as well as co-director of the Medicine and the Media program – was one of several experts on the program yesterday to discuss the charge that doctors and drug makers may be overselling testosterone. The New York Times – Quotes Lisa Schwartz, a professor of medicine, of community and family medicine, and of The Dartmouth Institute for Health Policy & Clinical Practice. The Union Leader – An article about the $6.25 million gift that the Geisel School of Medicine received from the estate of Susan Diamond. 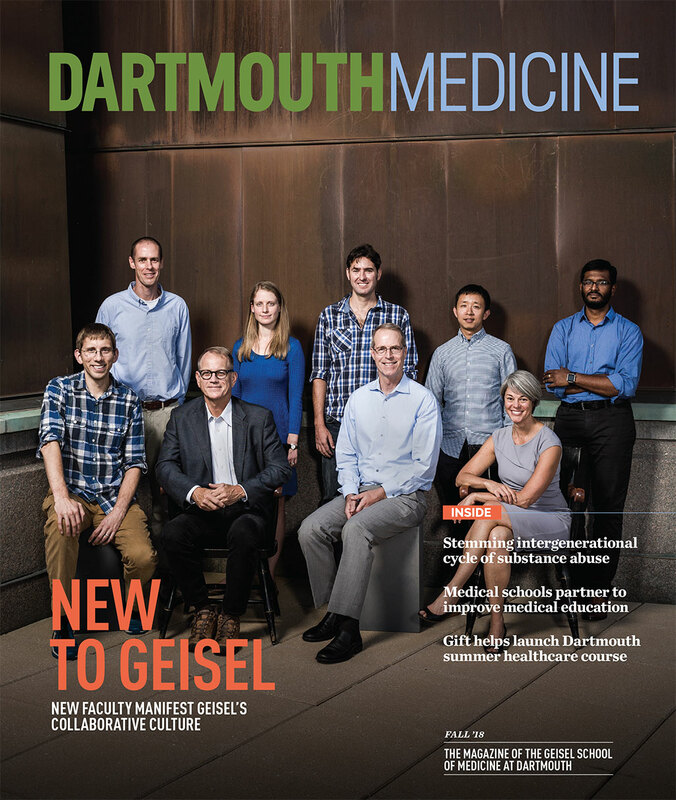 CIO – An extensive story that looks at the Dartmouth Atlas of Health Care and how it compiles its data and performs analysis and mapping. David Goodman is quoted in the story and says “Dartmouth has amassed the largest non-governmental set of Medicare data in the United States.” Goodman is a professor of pediatrics and of health policy, director of the Center for Health Policy Research, and co-principal investigator for the Dartmouth Atlas. The New York Times – Quotes Lisa Schwartz, a professor of medicine and of community and family medicine at The Dartmouth Institute for Health Policy and Clinical Practice, who says “We’re giving people hormones that we don’t know they need for a disease that we don’t know they have, and we don’t know if it’ll help them or harm them.” The Times notes that Schwartz co-authored a 2013 study on the marketing of low testosterone. Burlington Free Press – An extensive feature on a youth counseling and research program organized by the Geisel School of Medicine and Burlington’s Spectrum Youth and Family Services which will “supplement out-patient counseling with a system of rewards and consequences to encourage an estimated 220 Burlington-area youths over five years to abstain from substance use,” according to the Burlington Free Press. The program is funded by a $2.5 million research grant from the National Institute on Drug Abuse. WCAX – An extensive story on a youth counseling and research program organized by the Geisel School of Medicine and Burlington’s Spectrum Youth and Family Services which will offer out-patient counseling to Burlington-area teens and their parents struggling with substance abuse.